Who will be the new Media? 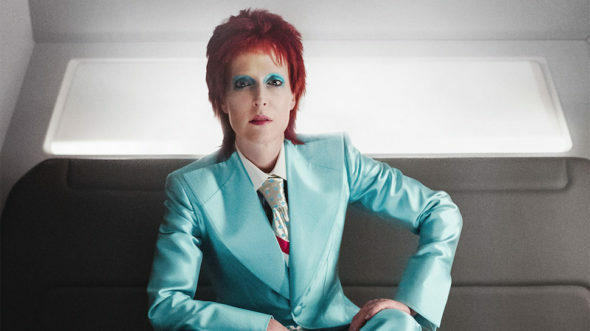 TVLine reports American Gods will replace Gillian Anderson’s role for season two of the Starz TV show. Anderson played the New God Media during season one of the fantasy drama before announcing her exit earlier this year. The series is based on the novel by Neil Gaiman and centers on Shadow Moon (Ricky Whittle), a former inmate who is drawn into a secret world where gods and magic are real. The cast also includes Ian McShane, Emily Browning, Pablo Schreiber, Yetide Badaki, Bruce Langley, Crispin Glover, and Orlando Jones. Starz has yet to announced a premiere date for the new season of American Gods. What do you think? Have you seen American Gods? Will you watch season two? It was the only reason that I kept my STARZ subscription. As soon as I didn’t see/hear/read anything about the new season, I cancelled it. I am eagerly awaiting the new season. It seems that many of the more creative and ‘out there’ series are not being renewed, to my disappointment. I understand it’s all about ratings and sponsors $s. Anything a little too complicated or intellectually deep must loose the average audience, or the ‘target audience’ has already cut the cable from lack of interest in the formulaic and bland fare. I think this show has a lot of potential. Losing Gillian Anderson is going to be tough… I think season 1 writers were excellent and I do hope they don’t change up the writers.